Happy Monday! I'm back from probably the best weekend of my entire time abroad (I say that a lot, oops) and am wishing I could go back to the French Riviera instead of working on projects for class :) 2 of my best friends and I headed to Nice, France this past weekend to visit a few of our other friends who are studying abroad there. We also took the most beautiful trip to Monte Carlo, Monaco for the day and I swear I have never been so happy in my entire life. 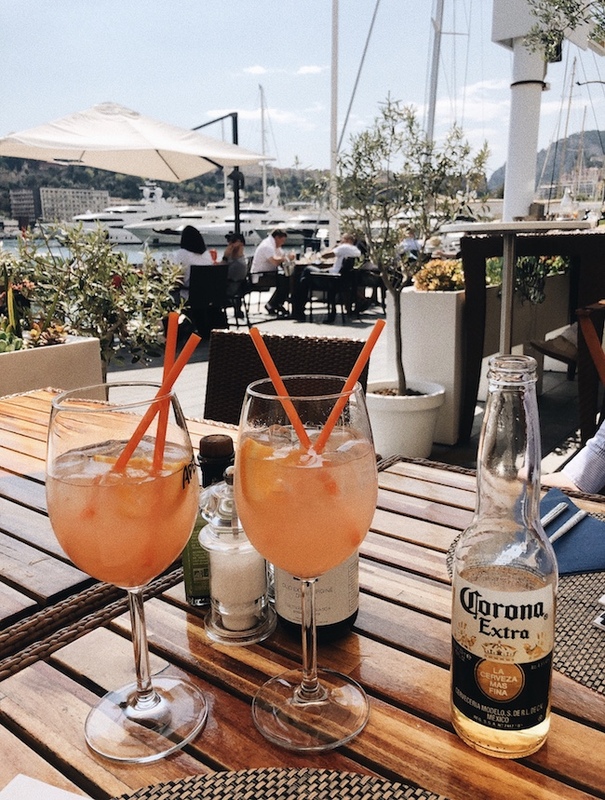 Perfect weather + 2 of your best friends + sitting by the yacht club in Monaco = a recipe for the most perfect day ever. I am so grateful for the time I've been able to spend in these places and don't want it to ever end! Check out some photos and recommendations of our weekend below. The Promenade in Nice, France is right along the water and has one of the most gorgeous views I've ever seen. It's so fun to grab some food, your friends and sit on the rocks and have a little picnic! A little bit of a trek but so worth it to get a bird's eye view of Nice and the coast. A friend recommended we go to the Yacht Club in Monaco but I was not prepared for how gorgeous it was going to be. We sat at the restaurant outside with our lunch and drinks and had the best time enjoying the sun and the boats in the water. Literally the best day of the entire semester. The most delicious (and wallet friendly) mojitos! Loved the strawberry and kiwi ones. Sit outside and enjoy the view of the port. Coming from someone who is literally studying abroad in the land of pasta, let me just tell you this was some of the best pasta I've ever had. The owner makes it fresh for you and puts it in the cutest little pot. Highly recommend! Have you been to Nice or Monaco before? I'm so eager to go back in the summer and explore all of the areas around there!! 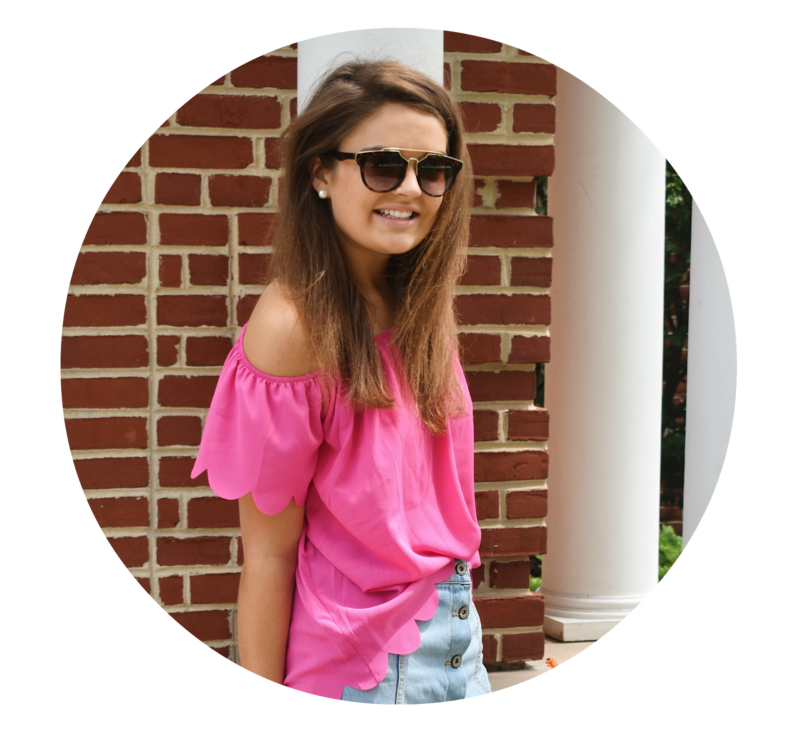 Another weekend travel update for you!! Last weekend my friend Maddie and I went to Interlaken, Switzerland for 3 days full of adventure, snow and chocolate. I've been dying to go all semester and we were finally able to squeeze it in at the end of spring break. Typically people say it's best to go during the colder winter months, but we actually really loved that it was a little warmer outside! There was obviously still tons of snow on the Alps so it was the perfect mix of cold weather at the top and light jacket weather in town. Let me tell you, it definitely lived up to the hype! 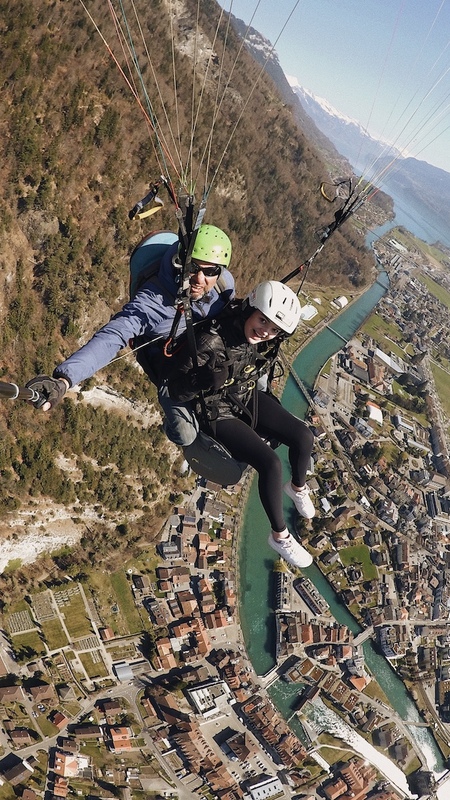 Interlaken is for sure on the more expensive side if you want to do the outdoor activities (paragliding, kayaking, skiing, etc.) but it was such a once in a lifetime experience that I thought it was so worth it. How often do you have the chance to fly over the mountains on a parachute?! I'm typically not the most outgoing when it comes to extreme sports, so this trip was crazy but so fun! I'm honestly terrified of heights but I forced myself to paraglide and ended up loving it!! Soaring across the sky above the mountains and city is so surreal. Definitely a little freaky but I'm so glad I did it. 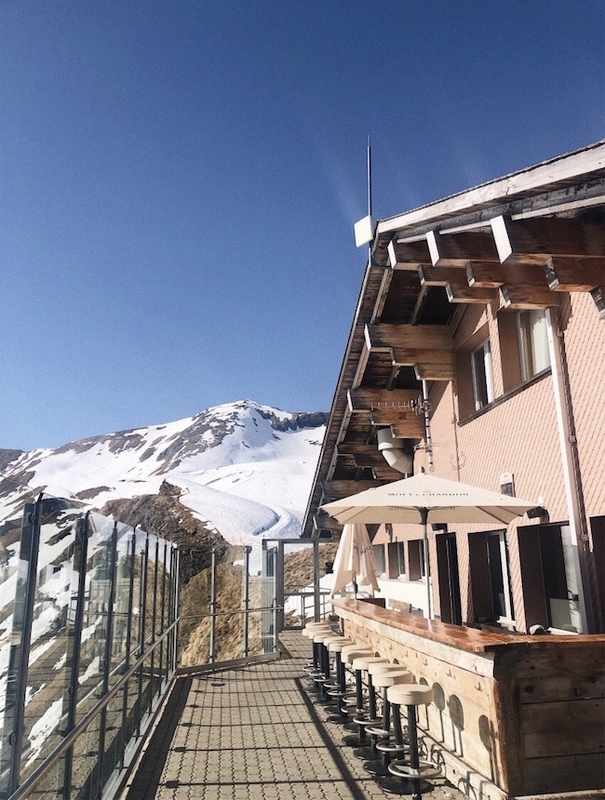 We rode a gondola up the Alps and found this cliff walk look out right by a beautiful restaurant and bar (see the photo below). Definitely worth the money! The mountain views in Grindelwald were so breathtaking - I recommend doing a day trip by train! I will never get sick of this view. How is it even real life?! A little pricey but so, so worth it. You run off a cliff (not as bad as it sounds!) and are up in the air for about 15 minutes before you land in a park in the middle of Interlaken. One of the coolest experiences ever!! We booked all of these activities through our hostel (Balmers - we loved it!) and it was super close by. Kayaking through Lake Brienz is one of my favorite memories and the tour guide (Peter) was the absolute sweetest. I honestly can't remember the name of the gondola but if you go to Grindelwald (about a 30 minute train ride away from Interlaken), there is a spot to go up to the First mountain. You can ski up there or just explore like we did. It was the prettiest view and literally looked like a green screen. There weren't a ton of restaurant options in Interlaken (a lot of them were super expensive) but in Grindelwald we went to this place for burgers and loved it. We went here for chocolate fondue and it was delicious!! The food was kind of expensive but if you just get the chocolate fondue for a snack (or dinner like we did :) then it's not bad. Have you been to Switzerland before? I've heard Zurich is beautiful too! Ciao from Florence! I'm back from a short (but beautiful) weekend in Venice and have so many pretty photos to share. We have 4 excursions through my abroad program and this was the second one (and my favorite so far!). I didn't realize before going but you have to take a ferry to get to Venice as well as the other Venetian islands nearby. Aka I'm very glad our school organized it so we didn't have to! It was such a relaxing two days exploring colorful buildings, riding on a gondola and of course eating lots of Italian food. One of my favorite snaps from my whole abroad experience so far. The most beautiful margherita and clam pizzas from Naranzaria (right on the water in Venice). Can you tell I'm obsessed with these bright buildings?! Each Gondola is 80 euros to rent for 30 minutes, so it's ideal to have 6 people (the maximum number) so it's the least expensive per person. I've been wanting to ride in a gondola my entire life so finally being able to on a beautiful sunny day was a dream!! The water views with the colorful buildings and boats cruising by is one of the most gorgeous things I've ever seen. We found a cute restaurant right along the water and loved enjoying the view while we ate. On one of the Venetian Islands (Murano!) we visited a glass blowing factory and saw a demonstration on how they create these incredible glass decorations (ornaments, vases, bowls, jewelry, etc.). It was insanely cool to see how fast they pop them in the fire, shape them and let them dry. A really fun experience if you explore beyond Venice! This was the only restaurant worth recommending in the heart of Venice - it is right on the water and had delicious, fresh pizza. I got the margherita with fresh tomatoes and loved it! My favorite thing to do on these weekend trips is to literally just walk around, explore, pop into little shops and try as much food as I can. Even though there weren't a ton of landmarks or activities to do in Venice, I love just having a relaxed time seeing what the cities have to offer. Have you been to Venice before? It was definitely one of my favorites! 3 cities in 3 days and over 25 hours on a bus later... you could say it was a busy weekend! My friend and I went to Budapest, Vienna and Salzburg this weekend not really knowing much about any of the cities, and wow were they beautiful. 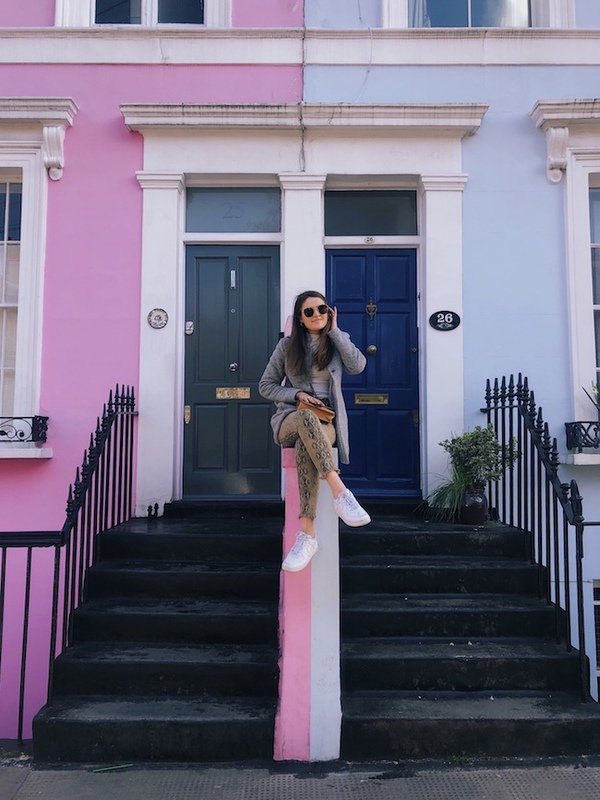 Never having been to Europe before, I made sure to plan trips to popular places like Paris and London, but it wasn't until recently that I decided to venture out to less talked about destinations like Austria and Hungary. 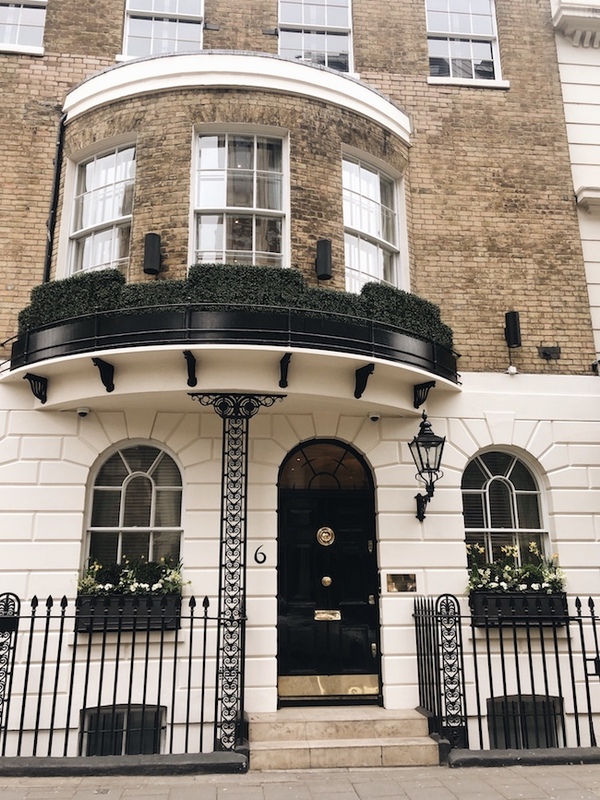 It is so fun seeing these places without knowing much about them because you are always pleasantly surprised with their beauty (Salzburg especially!). 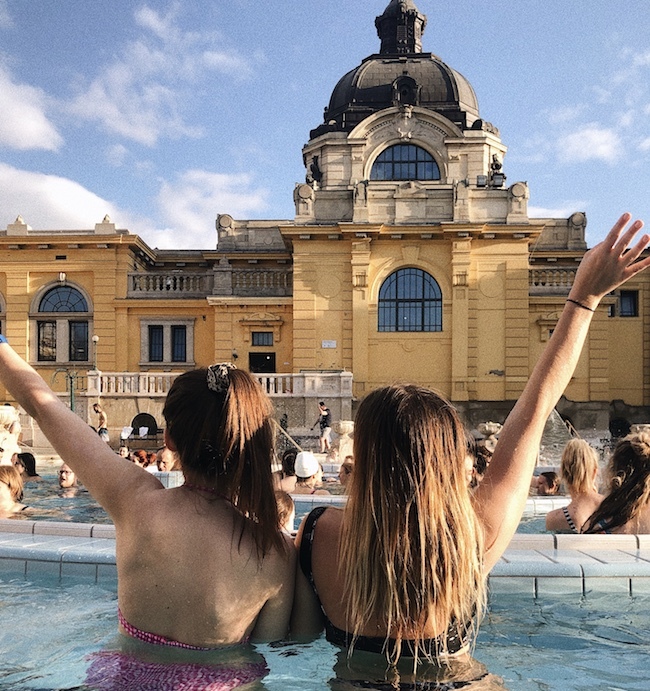 From tasting Wiener Schnitzel to swimming in the infamous Budapest baths, we had quite the weekend! Goulash was actually super delicious! 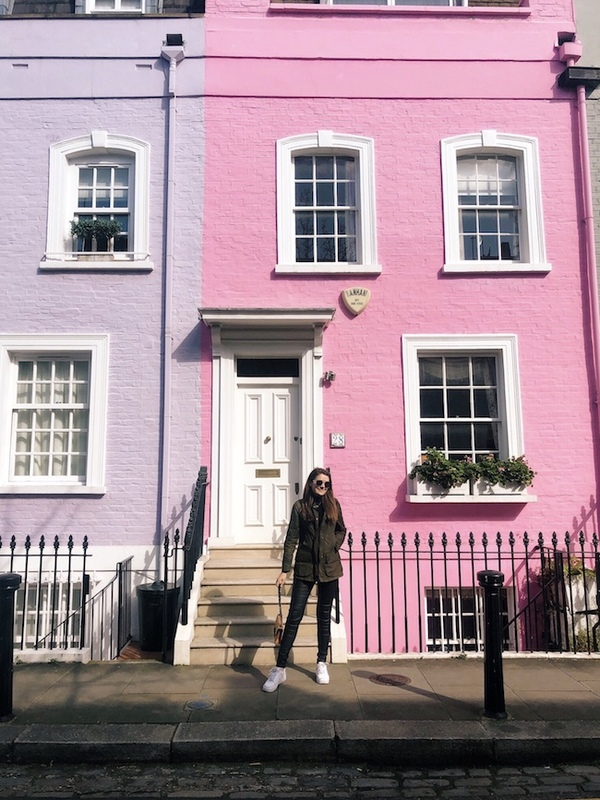 Took 200+ photos of these stunning pastel buildings because how can you not?! If we're being real these were a little dirty but honestly worth it for the experience (and pix of course). It would be so pretty to go at sunset! Be sure to bring your own towel and flip flops. The most gorgeous view of Budapest (and the castle they claim inspired the Disney logo?!). An easy walk right across the river. We didn't think there were a ton of activities to do in Vienna so walking around and exploring ended up being our favorite part! There are beautiful castles, gardens and government buildings that were really cool to see. Not sure the name of this restaurant but its at the top of the castle and had the most delicious goulash and rosé! In both Vienna and Salzburg there were amazing pastries like apple strudel and apricot sugar donuts. Highly recommend stopping for breakfast or as a snack during the day! Have you been to any of these places before? What were your thoughts?